IRON COUNTY – The Iron County Sheriff’s Office is asking for the public’s help in identifying two people believed to be involved in a vehicle burglary. The Sheriff’s Office on Tuesday evening released a photo of the individuals allegedly involved, along with a request for aid from the public for information. “The subjects are believed to have stolen a purse and used the credit cards from the purse belonging to the victim,” the Sheriff’s Office said in a short statement. The two purchased more than $950 using stolen credit cards before the victim canceled them. The purse the cards were taken from was later found in a trash can at a convenience store in Richfield. “Please share this information and photos with your friends across the state,” the Sheriff’s Office said. 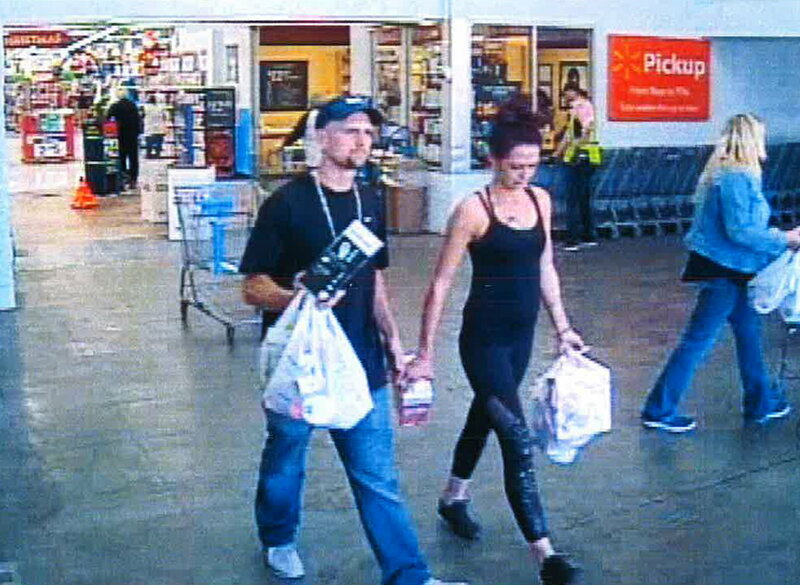 Anyone who recognizes these people is asked to contact the Iron County Sheriff’s Office at 435-867-7500. So was this a robbery or a burglary? Seems like a burglary. Wal-Mart seems to be a magnet for fraudsters. Their video surveillance is instrumental in catching many of these deadbeats.